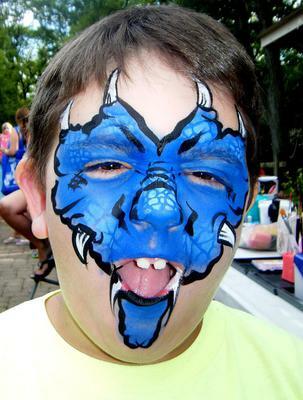 Face & Body Painting for young and old alike, any event, any occasion, any promotion, theme and princess parties. Temporary Tattoos are fun and hand-painted & can last up to a week with proper care. They are water- and smudge-resistant, making them perfect for pool parties, Sweet 16's or any other teen event, bachelorette parties, and even a fun and funky addition to wedding receptions! Henna, depending on your skin and if it's on the right spot, can last the longest of the three types of body art offered. Natural brown henna starts as a bright orange stain and darkens over the next day or two, so it will be most intense a few days after it's applied. 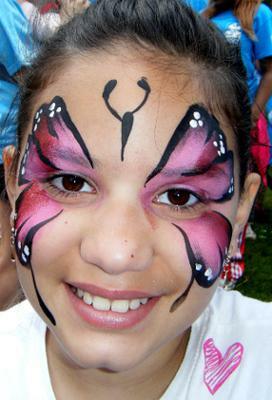 Face & Body Art by Larissa is available for your events throughout NY, NJ, and parts of eastern Pennsylvania, but a travel fee may apply for distances greater than 20 miles from Franklin Lakes, NJ. For entertainers in other states, just ask! I can provide referrals in most places around the country. With an art background dating back to kindergarten, I just can't get enough. It was a natural progression to seeing people as canvasses too. 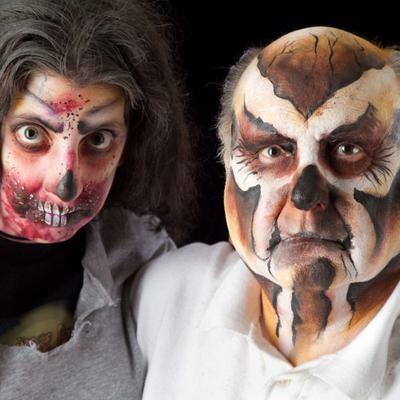 Since forming Face & Body Art by Larissa in 2003, I've taken many classes through guilds and courses in New Jersey, New York, and Connecticut, and travelled multiple times to Louisiana for body art conventions in Lafayette and New Orleans. You may have seen me painting at the Tribeca Film Festival, the US Open, your neighbor's parties, or any of a number of street fairs or festivals.Your health and safety and the health and safety of your child and guests is of paramount importance. 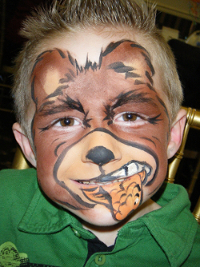 It's for that reason that only FDA-compliant face make-up is used in my face painting, as well as cosmetic glitters and shimmers. Even the temporary tattoos are made using only skin-safe cosmetic/medical adhesive and cosmetic glitters, or FDA-compliant tattoo inks. When it comes to henna, I am adamant about using only natural brown, harmless henna. You'll never find so-called "black henna" being used.